..as I read this I forget how easy it is to weld on an area of the underbody that may be in contact with the interior and throw flames all over the place if not aware. my buddy torched the whole left quarter panel of a 78 mustang in their shop for body and paint.good thing it was a inside outside restoration. My Uncle just recently purchased a 95 Riviera with 95,000 miles. It truly is a beautiful car, the body and interior looked immaculate. The steering wheel was crooked, favoring the right side. We drove it about 6 hours home from where we purchased it and the right front tire would start shaking every once in a while and then it would go away (about 3 times during out trip). He brought it in for an alignment today. The shop refused to do the alignment because they said the subframe was rusted out. Does anyone have any idea if this is worth taking to a shop to be looked at for repair or what something like this would cost to repair? Sorry, I am a novice and really don't know much about cars at all. Hard to say if its worth doing without seeing it. For a shop that can do it well including a good used subframe, it could be anywhere from $600 to $1000. Way more at a dealer. They're famous for rotting out. I would find a trustworthy mechanic to have the car looked over thoroughly. Is the subframe the same as the engine cradle? Yes....it is the same thing. Ah ok, cause my mechanic replaced it for 300 bucks with another used one that wasn't in bad shape. If you feel like making the trek to Chicago, I can PM you with his info. I really appreciate the offer. If I thought the car would be safe for the journey (the right tire shimmies quite a bit sporadically- then it acts and drives just fine ) , I would do it in a minute. The body shop I had an appointment for on tomorrow just called me and rescheduled for Monday so the question as to whether it can be fixed looms on until then. Thank you so much again! I just hope it is fixable. *fingers crossed*...We actually used the Combination switch Writeup on this forum to replace the turn signal switch (from a company recommended by Ed Morad since he was out of stock- another awesome bonus from this site) the other day and he hasn't even had it a week and we paid $2500.00 for it so I really really hope its fixable. Well, here is a sad update. Turns out it wasn't the subframe/engine cradle that was rusted. 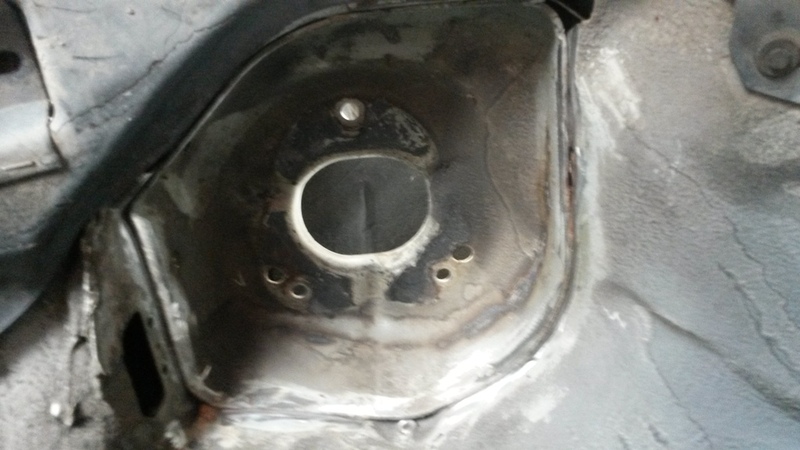 It is actually the frame where the engine cradle mounts that is rusted out and fixing it exceeds the vehicle's value....... Looks like a $2500.00 parts car. Ugh. Thank you everyone for your reply and help. Someone mentioned to me that the engine cradles go bad on these cars. I find that hard to believe, but wanted to ask the experts. is this an issue? I assure you that they CAN go bad... I have first hand experience... Im not sure if its really a common issue though. So, the whole cradle goes bad? The metal frame area? Or just the mounts? And is it a rust issue? When I was looking at mine, I called a fellow ROA member who has owned a couple of these, and whose son also owns one. When I asked him what to look for the first thing he said was "rust in the engine cradle and rust where the engine cradle bolts to the rest of the chassis." Not an easy fix. His son had to R&R a rust free cradle he found from Wyoming. It's very common if the car has spent winters in the Midwest where salt is used on the street for deicing. 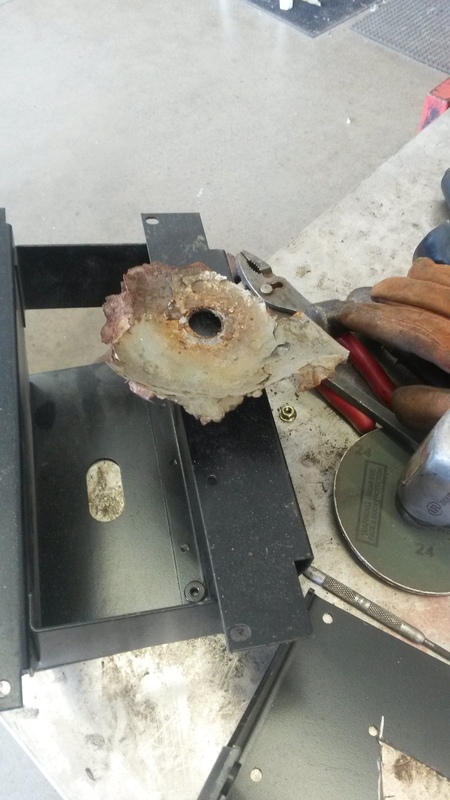 He then mentioned the problem with the tilt wheel, and a couple of other places to check for rust. In other words, it's common enough to make sure you check for it. I was lucky, I only had the problem with the tilt wheel. New brakes all the way around today. Drives like a different car. On mine, the front section of the cradle rusted out. Not to the point were the car isnt derivable, but to the point where i wouldn't want to sell it to someone i know. There is also an issue with the cradle bushings dry rotting. On both of my cars, the bushings look and feel great, but some people have reported rotted bushings. 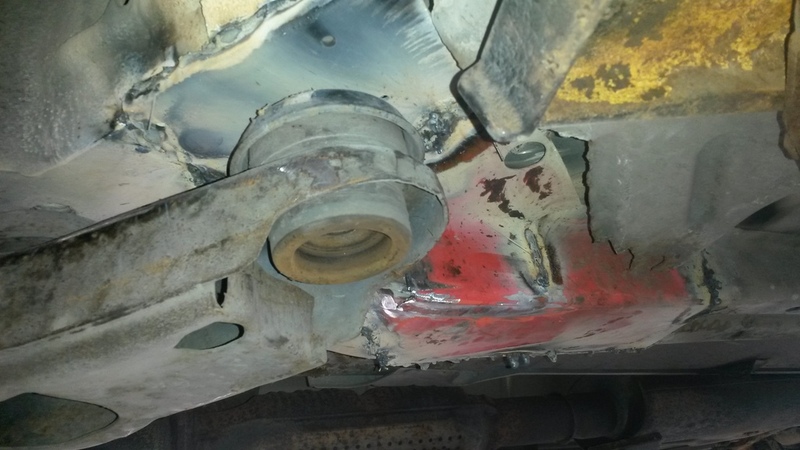 Honestly, the rust and bushing issue could happen to any car. I dont believe the Riviera is any more susceptible than any other vehicle. Just take your sweet time poking around and checking everything out before you pull out your checkbook. Also, other areas of rust concern (in my experience) are inside the rear wheel wells, on the lip of the trunklid, and in the well just in front of the rear wheels. OK. Not knowing an engine cradle from a baby cradle, can someone explain to me where to look? And what tilt wheel issue? This car has sat on this lot since spring, based on the lack of foliage on the trees in the pics. it is a small lot in a small town, so it might just be lack of buyers, but it may be something others see that I don't. So I want to be sure. Any help is appreciated. Lay down on your back, crawl under the front of the car and look for a metal frame. Tap it with a wrench or something to check to make sure its solid. As for the tilt wheel thing, Grab the wheel, try to shake it from top right to bottom left. If it feels tight, youre good. If there is excessive movement, its really not that hard of a fix. With the car on a lift it will be obvious. The engine in bolted into something like a sub-frame and that sub-frame is bolted to the chassis. On a lift it's easy to see. Look for rust around anyplace that can trap dirt, sand, salt, or other crud that will allow rust to form if not kept clean especially where pieces are bolted together. You'll see the rust, flaked paint, corroded metal, etc. This link is to an ebay listing showing an engine cradle. It's not for a Riviera, but it is for a Buick; you'll get the idea. It is a rust issue Yards, and if it is that bad, it will be very obvious if you take a good look at the car. Make sure you inspect the rear brake lines. My cradle was fine, but the rear 4 mounts were a bit corroded. I replaced them up at Readers Digest when we installed the sway bars. My back brake lines were scary, replaced them at the same time. Anyone who will buying a Riv from the states who use salt, please check your fuel tank lock ring area for the fuel pump. I live in the midwest-Minnesota (Salt). The car stalled and quit an hour away one morning the wife was going to work. The mechanic scanned, checked, and said the fuel pump went out, and surprise, in looking the lock ring was very, very rusty. The huge problem was the lock tabs on the plastic/nylon fuel tank were very bad. If I remember right, there were 5, and 3 were rusted out. The gas tank was worthless without good tabs. Besides a fuel pump, the big issue then was finding a fuel tank w/o the lock tabs rusted out. Guess what, the tank is discontinued from GM, and no one makes a replacement. Have fun finding a good one! Finally found one in Utah. We found water in my gas tank, rust, the fuel filter was shot. its really amazing the car even ran. It was the fuel pump that finally died. Also dropping the tank is not an easy job as some say. Wow, If I had only checked that area, I would have walked away from this car, and have an extra thousand in my pocket today, and a few less gray hairs. Just beware my friends, it hides quietly under the carpet. 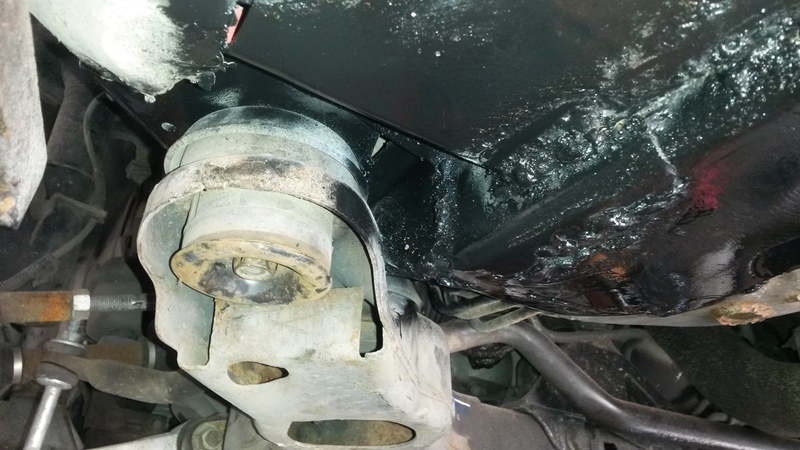 I read with great interest the warning about rusted subframes on Riviera, laSabre and Park Avenue models. I'm surprised the Buick Regal was not included. Two years ago our 1998 Regal with 98,000 miles began making strange sounds when backing out the driveway and turning the wheels. It also felt strange when driving. When the car was put on a lift to check things out it was discovered the subframe behind the engine had totally rusted through as was a wreck waiting to happen. We were told it would cost thousands of dollars to fix, so within a week we had a new car. We were told it was the air conditioner drain water that caused the problem, probably aided by the sald on Wisconsin roads. Please alert "Bugle" readers that Regals also face this serious and dangerous problem. Thanks Eric M. Bloc, BCA #1373"
I'd be most interested in what it says and I might add I've noticed considerable water condensation puddles following air conditioning use. Is there a preventative measure or mod that can eliminate or minimize this apparent issue? Imo, water itself isn't really dangerous to the undersides of a car. Salt and saltwater is the issue. I spray underneath my Riviera with a high pressure hose after driving over salted roads and there is very little rust after 10 winters. I won't say zero rust, but when I pulled the subframe a couple years ago it was solid. I don't buy into the air conditioning drip water causing the subframe to rust out. All cars drip water from AC. It can't be any more dangerous than driving in the rain. One thing that can cause rust is dragging the underside of the car over terrain, such as curbs, parking stops or other debris. Also gravel, salt and rocks on the roads. When these types of objects hit and scrape off the undercoating, the exposed metal can be attacked by salt, water, and dirt. Imo, water itself isn't really dangerous to the undersides of a car. Salt and saltwater is the issue". ..... "All cars drip water from AC. It can't be any more dangerous than driving in the rain". Thanks Aaron and I share your opinion and practice of spraying the undercarriage frequently. 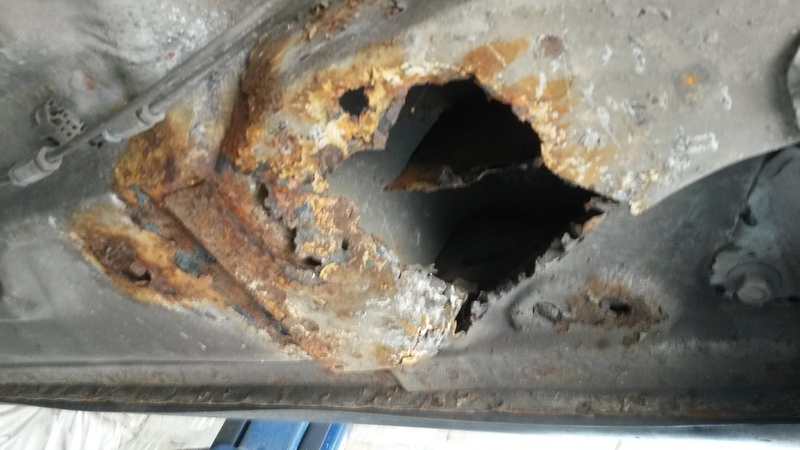 I am not experiencing any subframe rust or for that matter, rust of any nature on my 95. I remain curious as to what Pete Phillips, the editor of "The Buick Bugle" put to writing and his basis for it. Was hoping someone here @ RP, belonging to the BCA could review their retained 2012 copies and quote the original content, context, and basis or bias of said "warning". Maybe I'll route a PM to Brian (Centurion) asking him if he could find it himself or know just the person to ask. Thanks again AA for the response and admining this site. Been looking for a mysterious clunk and after major surgery on the strut towers, the frame where the cradle bolts to was completely rotted away! Wow. After almost two years of mechanics looking at this car no one saw this until now. In any case, part of a 1981 Gravely mower deck is now part of my new frame! My neighbor, mechanic is an artist! Welded and rebuilt the entire section. I know anyone who buys this car is getting a TANK! We're going to weld a few more pieces in the back as well. In the meantime this car drives amazing now. Forgot how awesome this thing drives.